Fig Tree Books LLC, 9781941493243, 288pp. How does a woman who grew up in rural Indiana as a fundamentalist Christian end up a practicing Jew in New York? Angela Himsel was raised in a German-American family, one of eleven children who shared a single bathroom in their rented ramshackle farmhouse in Indiana. The Himsels followed an evangelical branch of Christianity--the Worldwide Church of God--which espoused a doomsday philosophy. Only faith in Jesus, the Bible, significant tithing, and the church's leader could save them from the evils of American culture--divorce, television, makeup, and even medicine. From the time she was a young girl, Himsel believed that the Bible was the guidebook to being saved, and only strict adherence to the church's tenets could allow her to escape a certain, gruesome death, receive the Holy Spirit, and live forever in the Kingdom of God. With self-preservation in mind, she decided, at nineteen, to study at The Hebrew University in Jerusalem. But instead of strengthening her faith, Himsel was introduced to a whole new world--one with different people and perspectives. Her eyes were slowly opened to the church's shortcomings, even dangers, and fueled her natural tendency to question everything she had been taught, including the guiding principles of the church and the words of the Bible itself. Ultimately, the connection to God she so relentlessly pursued was found in the most unexpected place: a mikvah on Manhattan's Upper West Side. This devout Christian Midwesterner found her own form of salvation--as a practicing Jewish woman. Himsel's seemingly impossible road from childhood cult to a committed Jewish life is traced in and around the major events of the 1970s and 80s with warmth, humor, and a multitude of religious and philosophical insights. 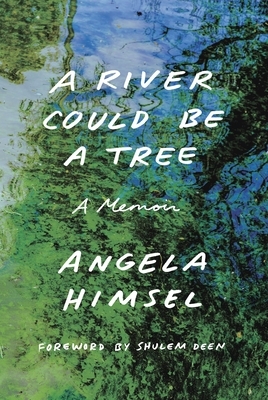 A River Could Be a Tree: A Memoir is a fascinating story of struggle, doubt, and finally, personal fulfillment.